How Can My Phone Work with China Mobile 4G ? I have some questions. I am an absolute normal user living in Germany. I have an in Germany bought Smartphone "Samsung Galaxy S6 128GB named SM-G920F" with Android 5.1.1 I have a Google Account where I can make the synchronization to make data safety. In November 2015 I must fly to Kunming and Lhasa in Tibet with a short stop in Beijing. So I want to use my smartphone in China. I have a china mobile 4G PREPAID CARD bought in Beijing. To makes calls is o.k. - it works. To surf in the internet it is only with 2G but must time only EDGE. That make no fun, so I do not want to use internet. Last year I asked China Mobile in Beijing and the told me that it can not work with 3G, 4G or LTE because my Smartphone is a German and it do not work as the same in China. 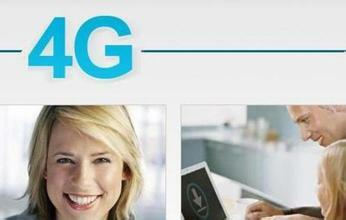 In Germany we have "4G FDD-LTE" and in China they have "4G TDD-LTE" and "3G TD-SCDMA". So they told me the only way to use faster internet is to buy a Chinese Smartphone. That is the Problem - I do not know what Smartphone I shall buy. I thought the best way would be to buy the same smartphone I have in Germany I buy in China. So I think it is easier to install my in German bought apps from Google play store or Samsung and my email and all the things on the German smartphone on the new Chinese smartphone. ( for example with the app from Samsung called SMART SWITCH ). But I can not find the same Samsung Smartphone. What do you think ? What do you recommend me ? Or do you have an other idea ? Thank you for your questions. China Unicom has started 4G TD-LTE and FDD-LTE network building since year 2014. If the places you visit are not under 4G FDD-LTE network, your phone will connect with China Unicom WCDMA 3G network. Then, my recommendation is to buy a SIM card from a China Unicom shop. Comments for How Can My Phone Work with China Mobile 4G ?